Sure, you can tailgate with a six-pack and a Subway on the steps of the library 30 minutes before kickoff, but why not dream big? Here are some basics to ensure a successful pre-game party. 1. Plan ahead. Compile your menu the week before, making sure you have all necessary items for your desired meals. Nothing is worse than getting to your tailgate only to realize you’ve forgotten the bacon for your bacon-stuffed cheeseburgers. 2. Scope out a perfect place to set up on campus or near the stadium. You can do this in person or via an online map. Some areas may be off-limits, so make sure you know the rules of the campus or facility before going. 3. 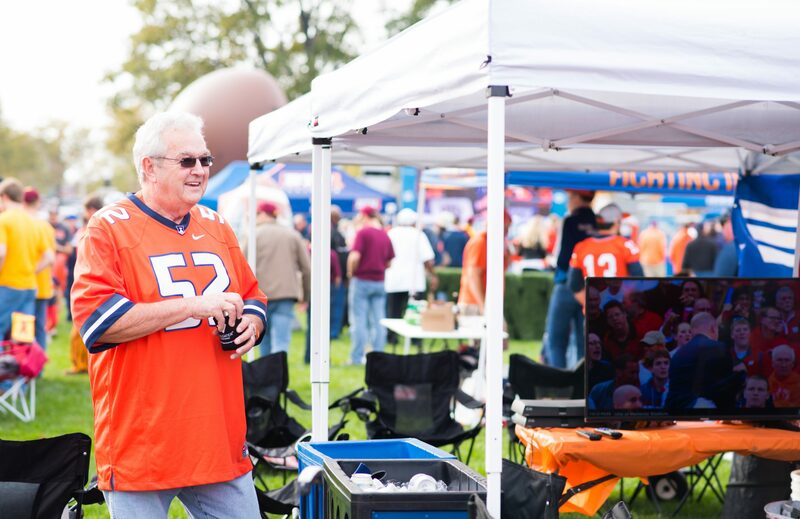 Communicate with fellow tailgaters early and often. Make sure everyone knows what’s on the menu, what to bring and where to meet up. No one wants 45 plates and no forks. 4. Set up your gear the night before. Pull out all chairs, tarps, blankets, grills, charcoal, BBQ tools and coolers so they are ready to go. If it’s the first tailgate of the year, check these items out early on so you can repair or replace any that have seen better days. 5. 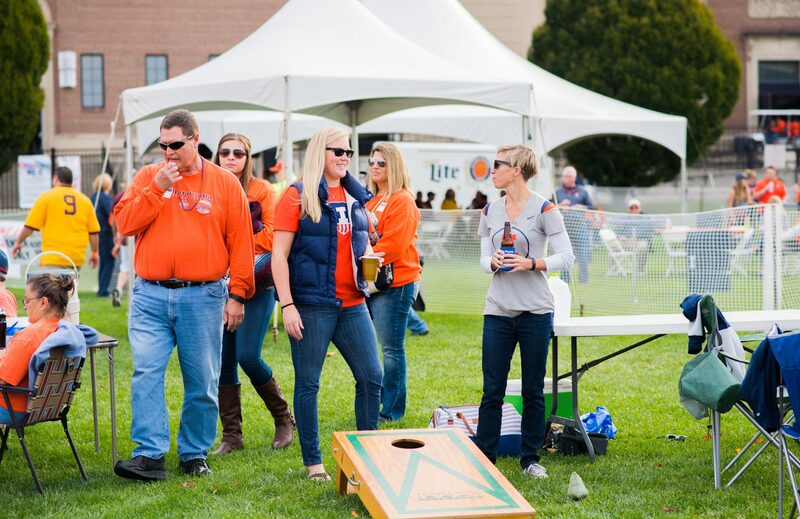 Don’t forget about your own tailgate attire. Wear team colors, don that jersey, dig the foam No. 1 finger out of storage. It’s time to become unapologetically full of team spirit. 6. Plan to arrive 4 hours before kickoff, at least. The bigger your tailgate party, the earlier you should arrive on location to set up your spot and get settled. 7. Consider bringing a flag to be flown at your site so fellow tailgaters can find your party if you’re on a crowded campus. 8. Eat at least 1.5-2 hours before kickoff to ensure plenty of time to eat AND clean up without missing any sporting fun. 9. Bring trash bags for easier cleanup. 10. Consider investing in collapsible wagons so you can haul items quickly back to your car and make it to the stadium in plenty of time for the first snap.